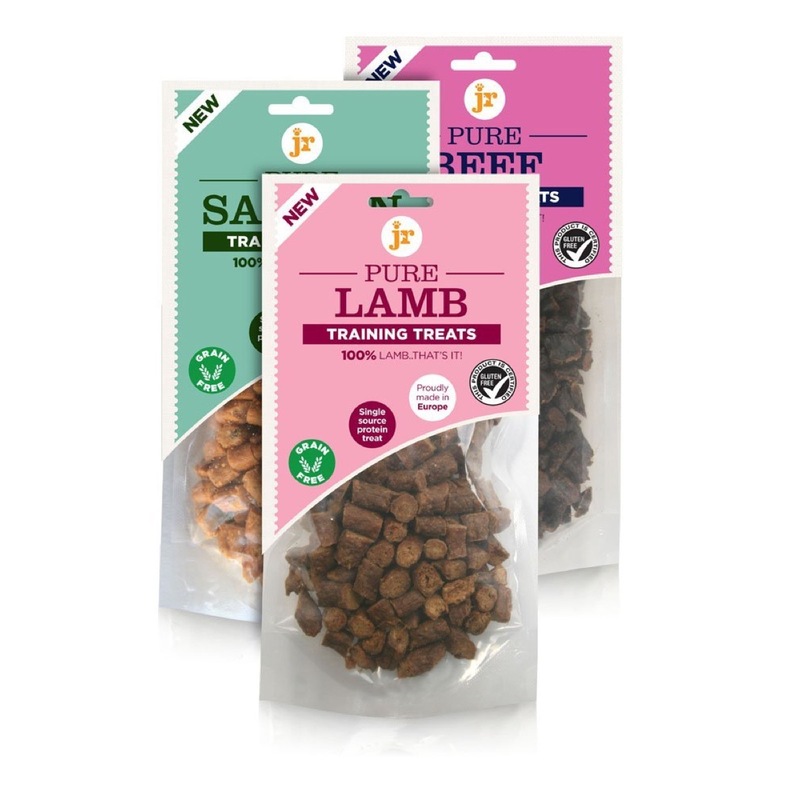 JR’s pure range variety pack of training treats include delicious salmon, beef and lamb. Naturally healthy and totally irresistible, they’re one of our very best selling products, thanks to the fact they’re all 100% pure meat as well as grain and gluten free. Read more about Dog Treats. Available in a re-sealable pouch to lock in the freshness, JR’s pure training treats come in handy bite size pieces. Perfect for any dog, there’s no preservatives or additives either. Why not take a look at our primal range too? What ingredients do JR’s pure variety pack training treats for Dogs contain? Kangaroo: 100% Kangaroo. Lamb: 100% Lamb. Salmon: 100% Salmon. Beef: 100% Beef.